The first red-shouldered hawk (Buteo lineatus) I saw in Central Park,on January 20, 2018, was a juvenile. 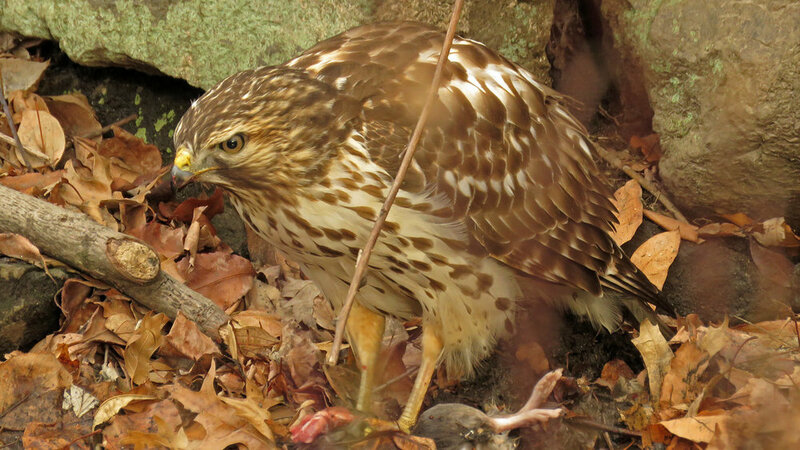 The young first-winter hawk was eating a rat near Laupot Bridge. At first I thought it was a Cooper's hawk, given the streaking down the front, but the large size of the hawk and the fact it was eating a rat rather than a bird made me wonder. Several birders later confirmed that this youngster was indeed a red-shouldered hawk. We have since had a second hawk that many believe is also a juvenile red-shouldered hawk. We're not sure, but perhaps these photos will help from March 13, 2018. This is the first red-shouldered I saw, on January 20, 2018. 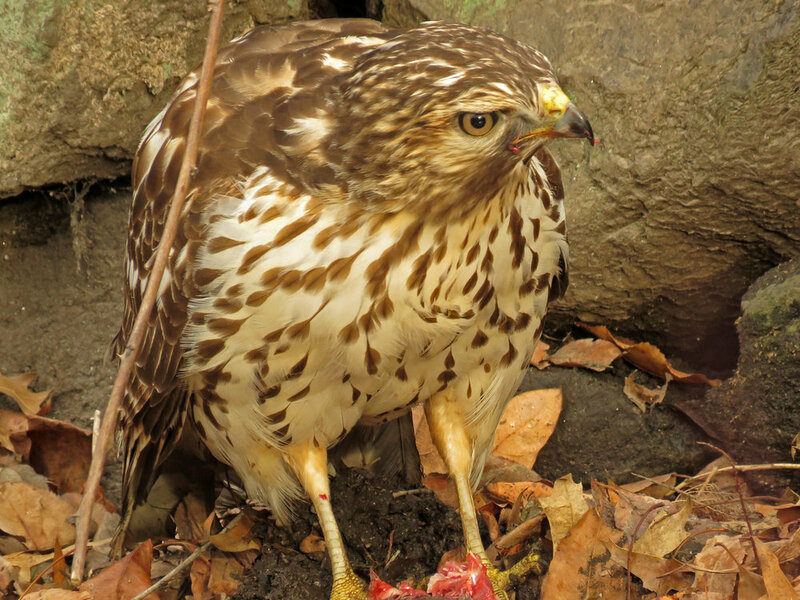 The Chasing the Hawks in Central Park video is pretty graphic in its depiction of hawk dining on rat. As with most of my hawk videos, there is no sound. All the photos below were taken January 20, 2018, near Laupot Bridge in Central Park. Red-shouldered hawk with rat dinner after too many spectators made the kid nervous. Note how the darker feathers "streak" down the chest, unlike a red-tailed hawk's belly band.